This handmade Xmas card features a sparkly purple glass tile, hand-painted with a silver snowflake. 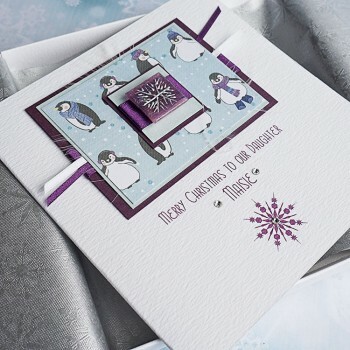 Mounted on sparkly cards and a festive playful penguins paper and embellished with satin ribbons and a Swarovski diamonte. 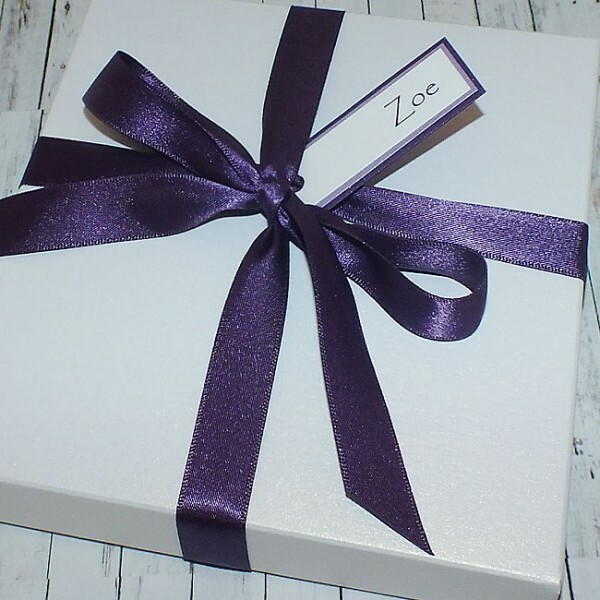 The design is created on textured white card and is supplied with a matching blank insert, which can be printed if you wish. 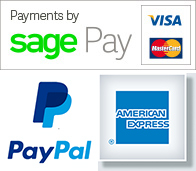 The card is supplied with a matching textured white box. 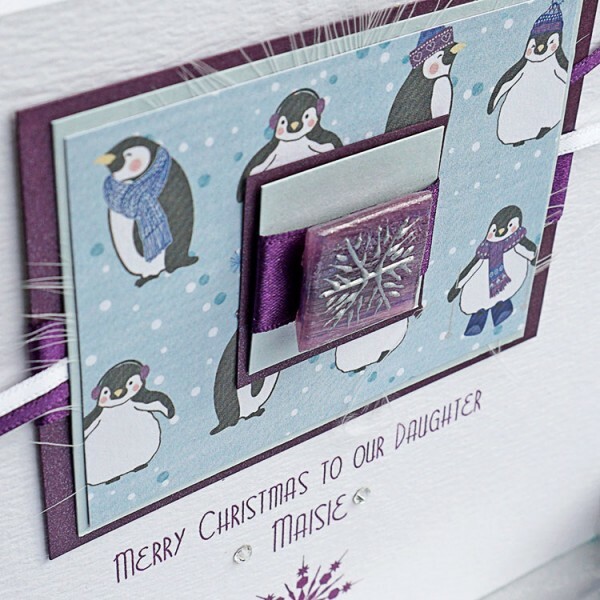 The card in the picture reads 'Merry Christmas to our Daughter Maisie', but it can be personalised for a special friend or relative, such as Fiancee, Mother, Sister, Mum, Aunt, Gran or could simply read 'Merry Christmas'. Please enter your own special message in the box when you order. 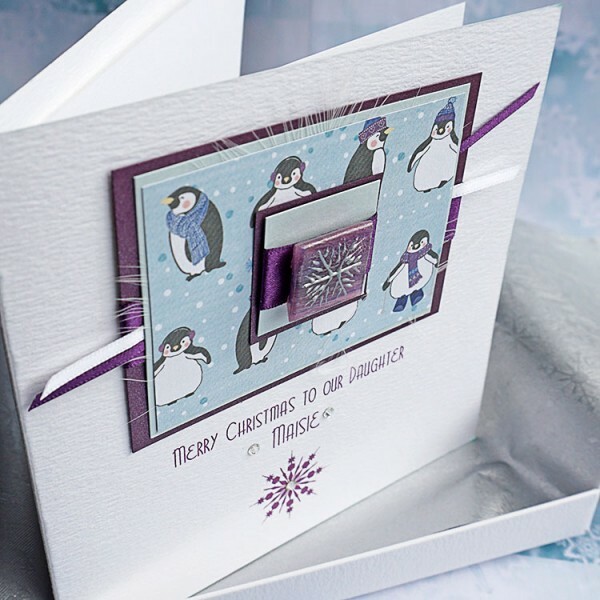 Luxury Christmas Card "Playful Penguins"
Personalised Handmade Christmas Card "Playful Penguins" This card features a sparkly pur..